The City’s Grading and Clearing ordinance is found in Poulsbo Municipal Code Chapter 15.35 and was last substantially updated in 1995, with a few amendments since then. As part of this update, the grading portion of the ordinance would be moved to a new Chapter 15.40, Grading. Chapter 15.35 will be repealed and replaced with the Tree Cutting and Clearing Ordinance. The update is initiated to primarily reformat the existing ordinance to be consistent with the recent updates of other City land development ordinances (i.e. zoning, critical areas, land division, and permit procedures). The City Planning and Economic Development (PED) staff believe that the reorganization of the existing Grading and Clearing ordinance will result in ease of administration for both the private sector users and City staff. Additionally, the updated ordinance includes new or revised sections based on input received internally and externally. The Tree Cutting and Clearing Ordinance and Grading Ordinance are new ordinances, and while most of the provisions are the same or similar to the current Chapter 15.35, the entirety of each draft ordinance should be read and reviewed based upon the newly formatted document. National public health initiatives have endorsed the expansion of farmers markets, particularly in urban environments, to allow more convenient access to healthier food. The City of Poulsbo wishes to encourage the growth and development of the farmers market. However, the City also recognizes the need to better regulate the market in order to ensure the health, safety and welfare of the residents. The general purpose of the city’s commercial districts is to provide the necessary commercial goods and services for the Poulsbo and greater north Kitsap communities. The commercial districts provide for the location of retail sales and services, professional services and offices, food and drinking establishments, lodging, personal and health services, arts, amusement, medical facilities, educational and recreational uses among others. The primary purposes of the 2018 Commercial Districts Update is to incorporate development standards consistent with the land use and community character policies of the 2016 Poulsbo Comprehensive Plan; to ensure that commercial developments respect the scale, design and character of Poulsbo; provide for a mix of commercial land uses that respond to market changes, and serve the needs of residents, businesses, and visitors; and provide clarifications in some areas where ambiguity of the development standards exist. The 2017 Land Division Ordinance Update was initiated to primarily reformat the ordinance to be consistent with updates of other City land development ordinances (i.e. zoning ordinance, critical areas ordinance and permit procedural ordinance). The City PED staff believed that the reorganization of the ordinance would result in ease of administration for both the private sector users and City staff. Additionally, the updated ordinance includes new or revised sections based on input received internally and externally. The Growth Management Act of Washington (GMA) requires counties and cities to review and evaluate comprehensive plans and development regulations, and update them if necessary, according to a schedule established by RCW 36.70A.130. The City of Poulsbo adopted an updated comprehensive plan in December 2016, which provides a framework of goals and policies. The City’s review of development regulations includes the City’s Critical Areas Ordinance (CAO), found in Poulsbo Municipal Code 16.20. The CAO are regulations for the protection of critical areas in accordance with state requirements. Critical Areas include: Wetlands, Fish and Wildlife Habitat Conservation Areas, Geologically Hazardous Areas, Critical Aquifer Recharge Areas, and Frequently Flooded Areas. 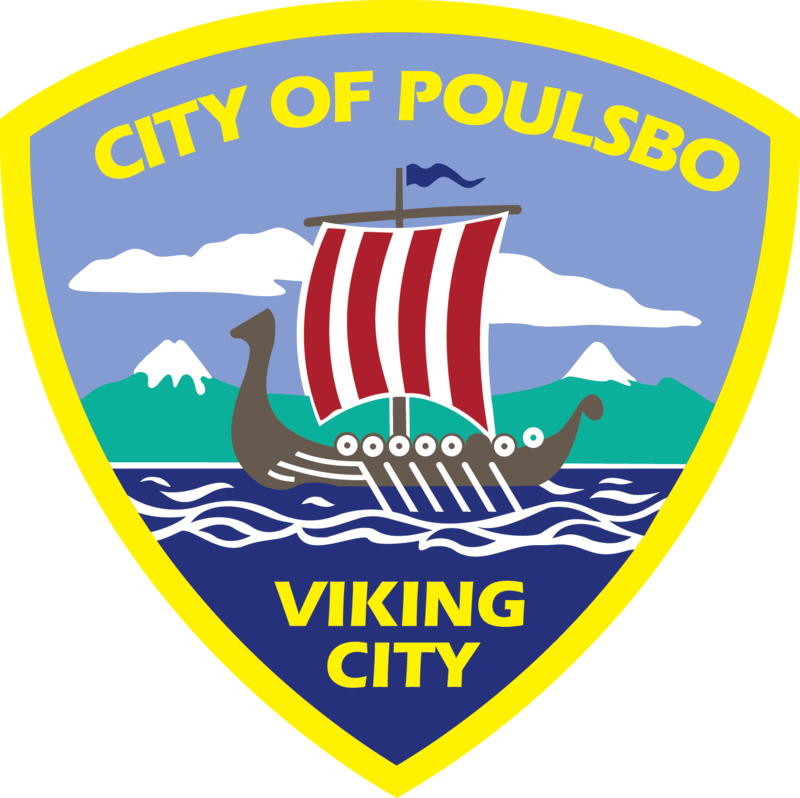 Amendments to the City of Poulsbo’s Critical Areas Ordinance have been made throughout the document. The amendments are based upon 1) new Best Available Science provided by resource agencies; 2) recommendations by the City’s consultant critical areas biologists; 3) amending corrections or conflicts; and 4) assist with ease of administration. For further information, please contact the Poulsbo Planning Department at (360) 394-9748 or plan&econ@cityofpoulsbo.com.